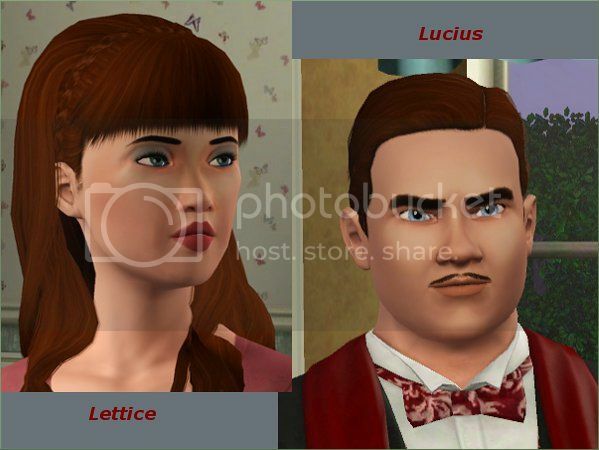 Lettice is the only child of Lucius' Protheroe, and the heir to The Old Hall. She is his jewel, and his weak spot. Probably the sole weak spot he has, because the Colonel is definitely a hard man. The citizens of St. Mary Mead are a bit afraid of him, and many good, honest people has been hurt by his harsh words. Even the friendly Vicar struggles to find something nice to say about him. Lettice is still young, but is taking after her father's ways. Nobody will tell her what she can and can't do. Not even her father. Lifetime wish: She doesn't have one yet! Lettice's Cat's Eye Sunglasses are from Tamo, and is automaticly included. Thank you Tamo for this wonderful piece! 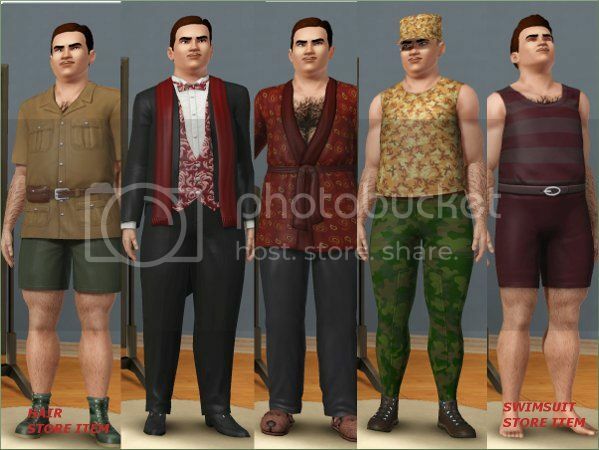 Lucius' hair and swimsuit are from the Store. If you don't have them in your game you can still download without problems, but they will be replaced with base game items. CC items: My most sincere thanks to Tamo for a wonderful piece!